See that little yellow thing in front of that plane? Yeah, that's a Volkswagen Tiguan. This modified 747 is the largest tanker in the world, though only one remains and it's being used by the Iranian Air Force. The KC-747 made a great tanker, but the venerable KC-10 was cheaper. The A380 is probably the largest aircraft you'll get to fly in, seeing as it's the largest passenger airplane in the world. It's so big, a maintenance check takes 55 days! The Ca.60 was probably the largest aircraft prototype of its time (1921), but if it wasn't, it was certainly the most batshit insane. Nine wings, eight V12s, and 100-passenger transatlantic dreams. Predictably, it crashed on it's second flight. The Solar Impulse 2 is the largest solar-powered plane in the world, with a wingspan larger than that of a 747 but a weight of just over 5,000 lbs. It's going to attempt a round the world flight very soon. Godspeed. It's tough to tell, but can you see that little line between the two planes in the picture? The propellor plane is towing the other one, a Messerschmitt ME 321, the largest glider ever made. The 321 wasn't particularly great, but it evolved into the 6-engined ME 323. The peacemaker is the largest piston-engined mass produced aircraft ever built, and was one of the first to carry (but not be powered) by a nuclear reactor. Why? Cold War insanity, that's why. This Russian helicopter never went into production, but it still qualifies as the largest helicopter ever built. It holds a number of records (other than its size) that still stand today, and it is recognized around the world as a massive achievement. Everything wonderful and insane about Howard Hughes is in this plane, the legendary Spruce Goose. It has the largest wingspan, it is the largest flying boat, and it was made mostly of birch! That scale is all the more impressive when you learn that this plane was built in 1947. This is one of the largest airplanes ever built, and certainly one of the largest still in service where it is used to carry massive payloads. Since it was built in 1988, the AN-225 is sort of a last hurrah for insane Soviet aircraft. But, it's not the biggest aircraft ever made. Not by a long shot. 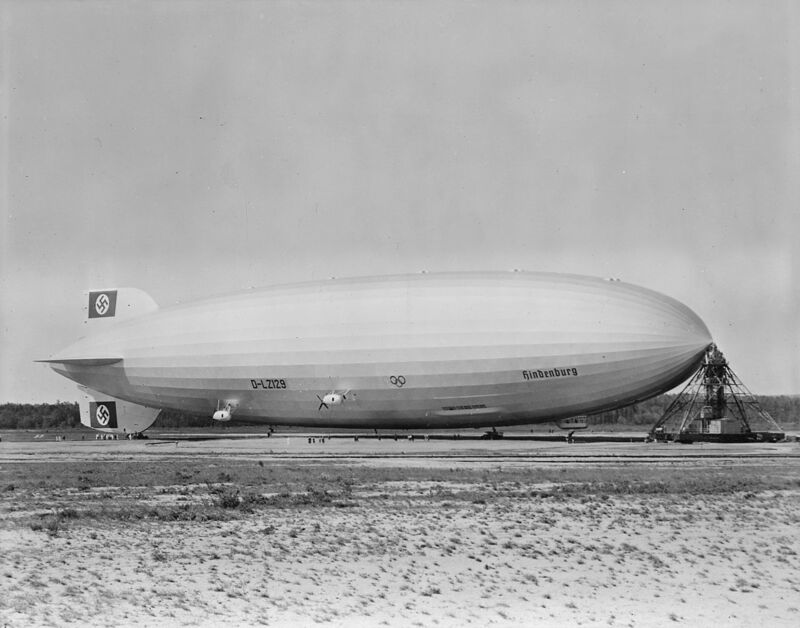 Saying that the Hindenburg dwarfs all other aircraft would frankly be the understatement of the century. It exists on a scale that has never been seen since, though, there's probably a good reason for that. See those little dots under it? Those are people.